The draft law “On amendments to clauses 5 and 8 of the Federal law “On guarantees of rights of indigenous ethnic minorities of the Russian Federation” was adopted in the second reading. The significance of this law was pointed out in one of the instructions by Vladimir Putin, many experts and parliamentarians participated in development of the document. The chairman of the sub-committee of the State Duma on legislative protection of rights of indigenous ethnic minorities of the North, Siberia and the Far East Grigory Ledkov insists on the amendment to the law important for indigenous ethnic minorities. 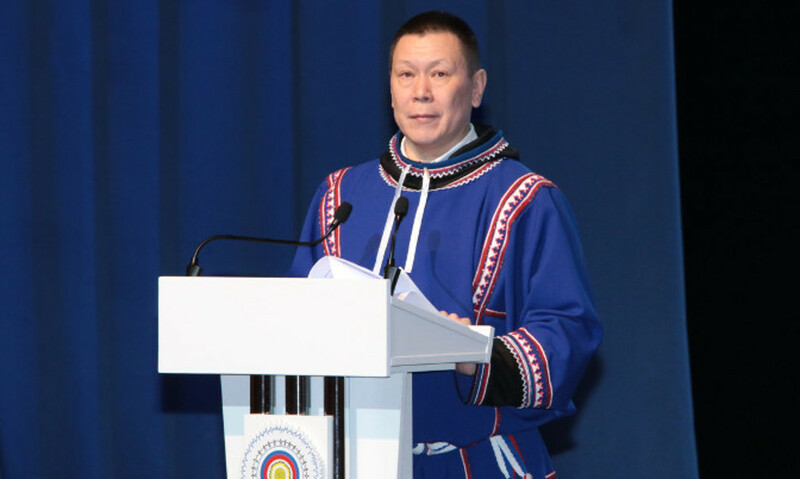 He believes that at the legislative level it is necessary to entrust the government of the Russian Federation to develop and approve the unified procedure for compensation of losses as a result of damage to life environment and traditional activity of indigenous ethnic minorities. And it is necessary to give regions the opportunity to develop their own methodology within this order, as the informational center of the Russian Association of Indigenous Peoples of the North, Siberia and the Far East informs. “Our task is to make sure that individuals from among indigenous ethnic minorities would not have to prove their right to compensation”, as Grigory Ledkov underlined. “A row of regions already have their own methods of compensation, thus, we proposed a variant, when the government establishes the unified procedure, and the regions are given the opportunity to approve their methods for calculating of losses with consideration of local specifics of life and activity of indigenous ethnic minorities”.